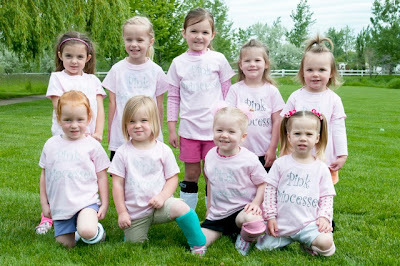 Addie loves her pink princesses soccer team. It is a team of 3-4 year olds, all happen to be girls. 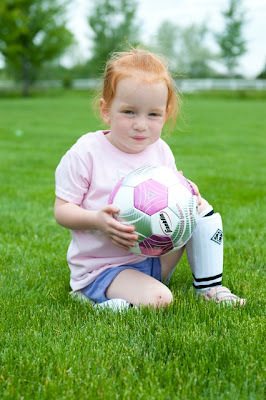 She made a goal on her first day of practice during scrimmage. She takes her sport seriously. Go Pink Princesses!